Are you struggling with acute or chronic pain? Contact our physical therapy team today at Wilmington, New Castle County & Kent, DE center to learn more about myofascial release and other drug-free and non-invasive techniques. We’re happy to connect you with a physical therapist who can help you start feeling better as soon as possible. 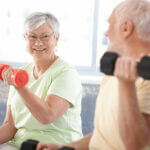 We offer in home physical therapy services.